Singapore Airlines operate from Terminal 2 at Heathrow which, as the newest terminal, is modern, spacious and similar in style to Terminal 5. Economy customers are offered self-service check in and then can go straight through security to wait for their flight in the departures area. There are plenty of places to eat and shops to keep them busy, there is even a small John Lewis! Business and First customers have dedicated check in desks where a buggy collects and takes them through security to the lounge, a great differentiator and a nice treat not to have to walk through the large terminal. The lounges are peaceful and offer a range of hot and cold food as well as alcoholic and non-alcoholic drinks. The first class lounge has an a la carte menu whereas the business class lounge has a hot and cold buffet. We sampled a wide range of the food in the business class lounge and can confirm it is all delicious! From the hot buffet we had a choice of red thai curry & rice, na goreng noodles, lamb navarine and mushroom stroganoff, (the menu changes daily) and from the cold buffet there was a selection of sandwiches, wraps, pastries, cookies, cake & popcorn. Interestingly, they offer a service called ‘Book the Cook’ where business class and first-class customers can choose from around 30 dishes up to 24hrs prior to departure to eat whilst during the flight. We thought this would be brilliant to help you choose what to eat in the lounge (and how much!) if you knew what you were eating onboard. Economy was roomy and didn’t feel claustrophobic at all. 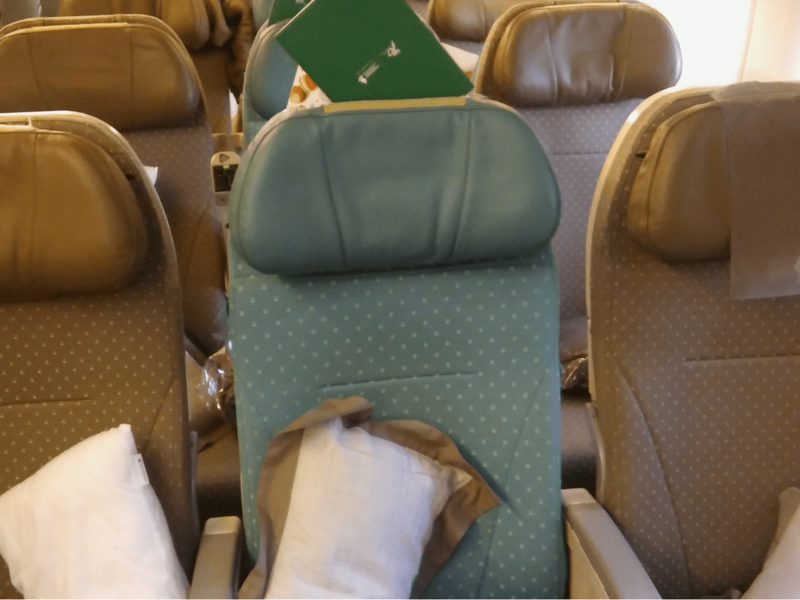 The seats were upholstered in pastel and included a comfy with a pillow headrest. 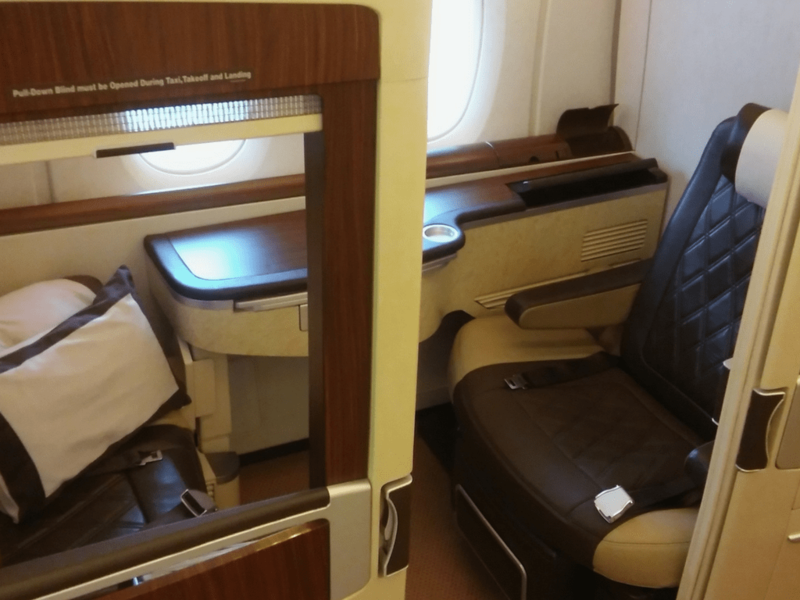 The premium economy cabin was lovely, and from a Repats perspective, a great option for broken legs! In addition to 3 economy seats or a business class flat bed, as the premium economy cabin has a 2 x 4 x 2 configuration (and the arm rests in the middle of the row of 4 raise), as long as the patient was no taller than 5ft 5” they could utilise the middle 4 seats. 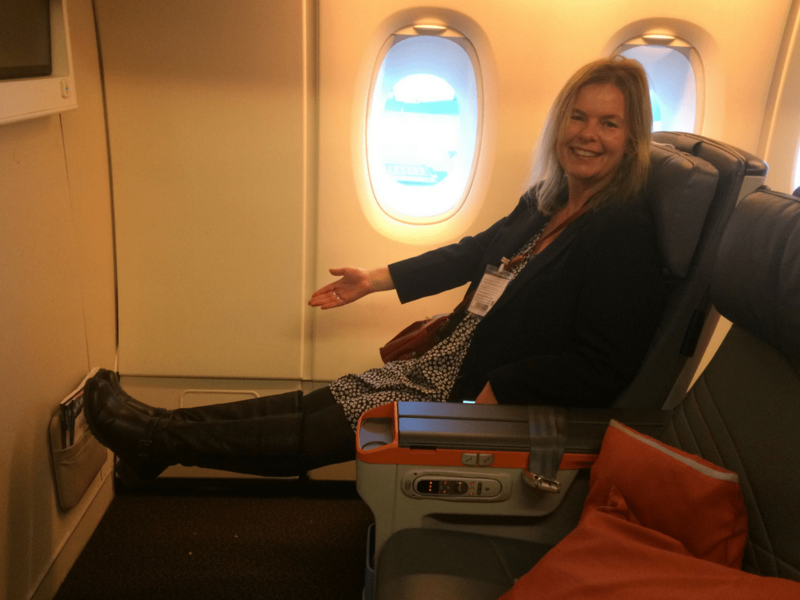 Business class had wider seats than average which made them feel really spacious but it’s worth noting that the aisles are narrower and a little hard to manoeuvre around if a Doctor was treating a patient on board. 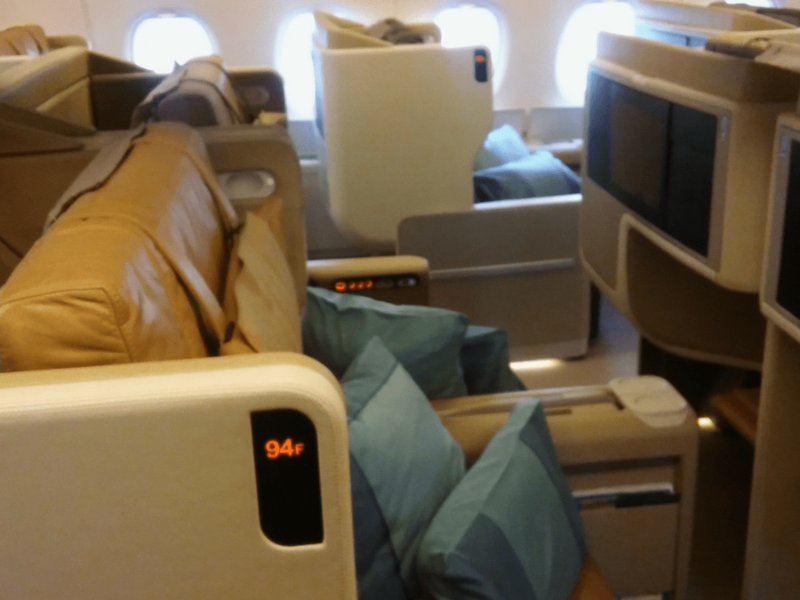 The first class cabin still had the original seats from nearly 10 years ago but Singapore is re-launching their first class product soon so we are excited to see what they will be offering, especially with the new Emirates First Class suites announced this month. We were told that the cabin crew can make up the double bed within 3 minutes, although sadly, there weren’t any crew available to demonstrate! A really helpful Singapore Airlines ground crew manager answered some of our specific questions about the logistics of stretchers, oxygen and wheelchair users which was a great end to the trip and will be shared with the rest of the team.